Are you close to the end of your lease and worried about getting your bond back? If you’re planning to vacate a rental property, you’re probably like most people and wondering how you will manage to make the carpets and tiled floors clean enough to get your bond money back. It’s a known fact that almost half of renters don’t get their bond money back. End of lease carpet cleaning can solve that problem. Why do so many tenants lose their bond money? Most rental contracts state that renters must leave the property in the same condition it was in at the start of the lease. Sometimes there are clauses in the contract that allow for fair wear and tear. The state of a rental property’s carpet is the leading cause of tenants losing their bond money! Landlords are very particular about the condition of the carpet at the end of a lease because carpets can be expensive to replace. What’s more, it’s hard to command a high level of rent for a property with dirty-looking carpet. If you call in professional carpet cleaners like Chem-Dry Clean And Green for your end of lease carpet cleaning, you will decrease the stress of moving house. Professional carpet cleaners ensure a fast and efficient job. End of lease carpet cleaning saves you time, stress and money. It ensures grubby carpets don’t lead to penalties when you vacate your rental property. Chem-Dry uses environmentally-friendly products that will leave the carpets cleaner for longer. Chem-Dry only uses one-fifth the amount of water during the cleaning process compared to steam carpet cleaning methods. This shortens the process and makes it more time efficient. 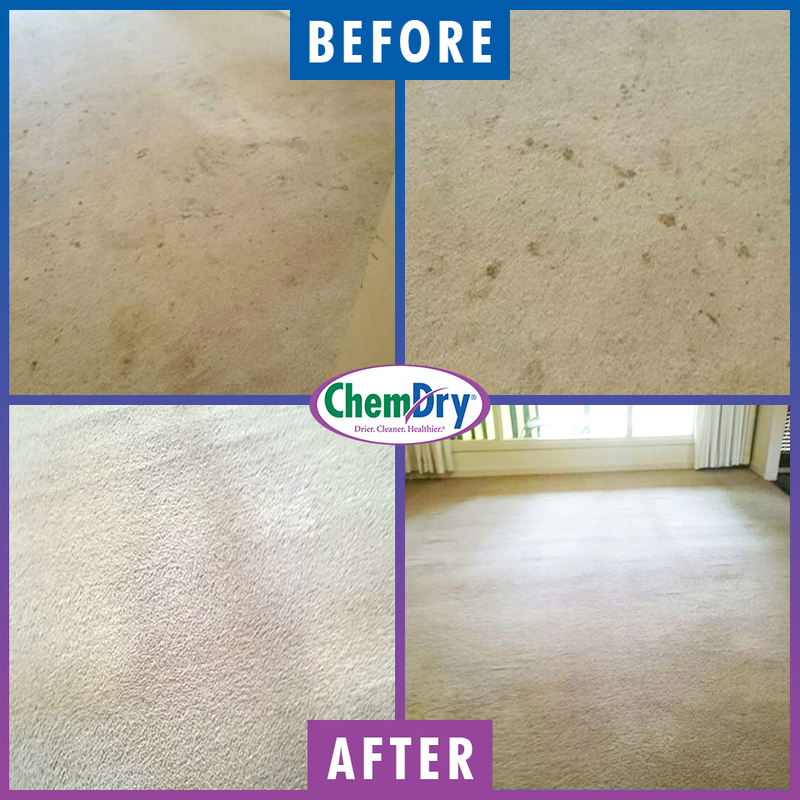 Chem-Dry carpet cleaners use specialised extraction equipment to remove the cleaning solution along with all the dirt, dust and allergens in the carpet. With a Chem-Dry carpet cleaning, you have the assurance that the carpets in the rental property will not cost you your bond money. Below is an example of a rental property cleaned recently.